Every year on the third weekend in September there is are "Journées du Patrimoine" which literally means "Days of Inheritance" They are two days when more than 400 historic sites, including over 50 privately owned properties, open their doors to the general Public. These Journées du Patrimoine have now been running for 26 years and each year they attract thousands of visitors to historic sites, many of which are not normally accessible to the general public. 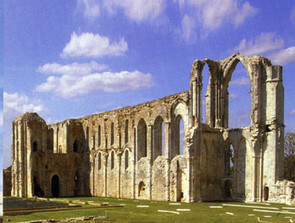 It is a great chance to find some of the hidden treasures that can range from Private owned châteaux to windmills and watermills, from churches, abbeys and priories to museums. Many of the attractions that normally charge an entrance fee are either free or have reduced tariffs. There are guided tours to many of these including explanations of the renovation work that in many cases is ongoing. The real problem though is that there is so much to see and only the two days in which to do it and as the sites are spread across the whole of the Vendée there is no way that you can take in anything but a small amount of what is on offer. Our suggestion is to look for those places that are only open on these Journées du Patrimoine, as some do not open every year. Most the other sites can viewed throughout the year albeit you may well have to pay. The Journees du Patrimoine are a great way to find out about the rich and varied inheritance that resides in the Vendée and allows you see many sites off limits for the remainder of the year. 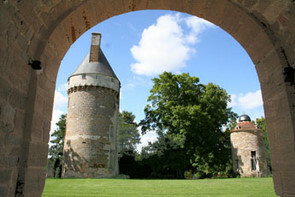 All of the historic sites owned by the Department of the Vendée are Open and are free and these include the Château at Tiffauges, The Abbays of Neuil-sur-l'autise, Maillezais, and prieure de Grammont, le Chabotterie and the Haras de la Vendêe. Château Guignardiere at Avrille, tarif reduced. 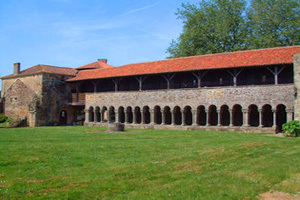 Abbaye de l'Ile-chauvet. tarif reduced. Le Fief Milon at Boupere, ancient fortress, open exceptional. Logis de la Trevilliere, at Bretignollies-sur-Mer. exterior only, open exceptional. Manoir de la Rhee 1590. La Caillere, exterior only open exceptional. Logis de St. Mars at La Chaize-le-Vicomte. XVI. Open exceptional. Le Petit Moulin at Châteauneuf. Château du Rortheau at Dompierre-sur-Yon concert 15h open exceptional. Château du la Flocelliere. A chance to look inside. Open exceptional. Château Terre Neuve. Fontenay-le-Comte. Tarif reduced. Château de la Bruniere 1590 at Le Givre. open exceptional. Manoir du Bignon at les Herbieres. Exterior only opening exceptional. Chapelle des Ursulines at Lucon exterior only visit tourist office. Eglise de Dissais at Mareuil-sur-lay-dissais 14h to 18h open exceptional. Château du parc Soubise 15.30h to 18h tarif reduced open exceptional. Logis de Lansonniere 15h 19h opening exceptional. Logis de la Guimeniere exterior only. 14h to 18h opening exceptional. Logis le Fief Goyau. Exterior only 14-19h open exceptional. Château de la Cantaudiere at Moutiers-les Mauxfaits. Open exceptional. Château de Pierre-Levee, at olonne-sur-Mer. Open exceptional. Moulin de Pacouinay at Oulmes 9-12 & 15-18h open exceptional. Moulin de Frely at Pouzauges 10-19h open exceptional. Moulin de Bel Air at La Rabateliere 14-19h open exceptional. Logis de la Chevillonniere at St.Hilaire-le-Vouhis Tarif reduced, open exceptional. Moulin Baron at St.Martin des Noyers 14-18h open exceptional. Logis de la Bonneliere at St. Michel mont mercure open exceptional. Logis de la Chavallerie at St.Gemme-la-Plaine tarif reduced. Château de Saint Hermine exterior only open exceptional. Loges de la Petite Coudraie near St.Hermine open exceptional. Moulin de la Roche at Xanton-Chasenon, open exceptional.